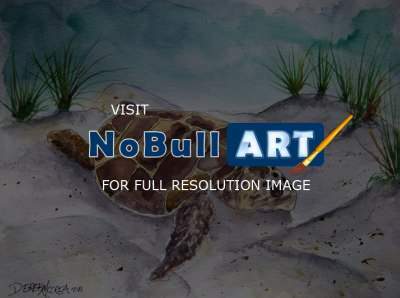 Sea turtle nature animal still life watercolor painting limited edition signed and numbered fine art print, realistic modern contemporary art. Beautifully rendered, Derek. You have a lovely natural life portfolio.